Paul is currently working through his fifth passport and has called Southeast Asia home for over fifteen years. His foray into a career in adventure travel began in Thailand, just after the tragic Boxing Day Tsunami. 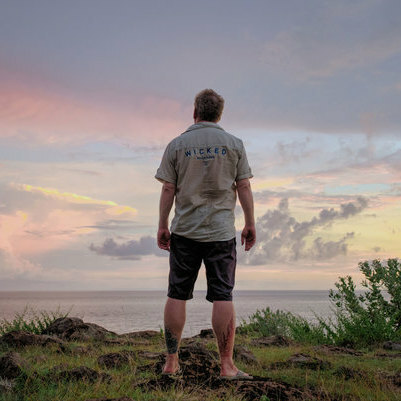 He built Wicked Diving from the rubble in Khao Lak with dreams to help rebuild the community and local economy. Serving the Similan and Surin Islands through liveaboard tours, expeditions, and dive training programs, Wicked Diving survived two coups and grew in size and reputation. Paul later opened additional Wicked dive centers in both Komodo and Raja Ampat, Indonesia. "Adventure travel throughout Eastern Indonesia. Trekking, sea kayaking, snorkeling, and diving as well as customized itineraries for families, groups, and schools. Destinations served include Sumatra, part of Java, Bali, Eastern Indonesia, Sulawesi, and Raja Ampat/Papua west. " "Born under the day of the Wanderer, it seemed fate! Been exploring the world since I could walk and even more of it since I could fly ;) New places, people and a passion for other people's cultures keeps me motivated to explore more! "